AGRA.FEB.10: International seminar on applied homoeopathy was organized by Pareek Foundation for Homoeopathic Research at Art Auditorium. The five day seminar was attended by many countries. Dr. Alok Pareek’s presentation was on contribution of homoeopathy to present day cancer treatment. Alfred Stueckard, George Vithoulkas Foundation, Germany speaking on the occasion eulogised the quality of homoeopathic practice and education. Dr. S. M. Singh, Principal-Director, Sri Sai Nath PG Institute of Homoeopathy, Allahabad speaking on the occasion wished a bright future for the centre and described it as the central temple of learning in the homoeopathic world. 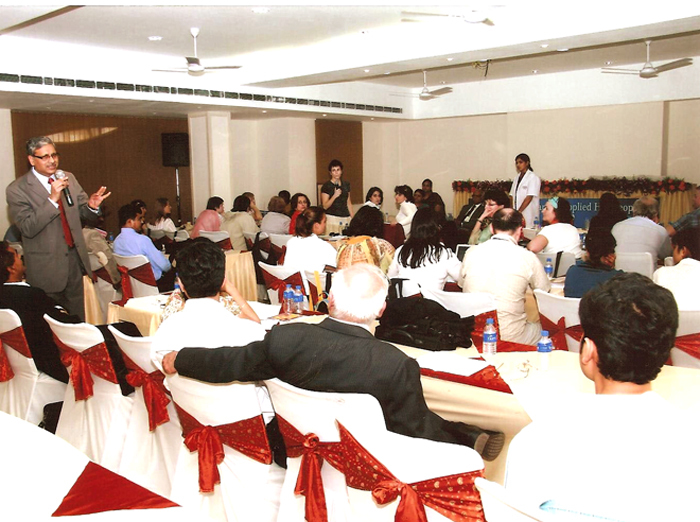 Dr. Mariam from Western Asian republic of Armenia, emphasized on the aspect of practical learning of homoeopathy. Dr. S. S. Kochhar eminent homoeopath from Nagpur, Professor and Head, Department of Physiology, Gondia Homoeopathic Medical College presented a session on practical utility of the study of mind, and its use in selection of medicine and explained the role of miasms in treatment of acute and chronic diseases.